Team Mongolia: Take a stand in Pyeongchang 2018 against the dog and cat meat trade! Home / Blog / Team Mongolia: Take a stand in Pyeongchang 2018 against the dog and cat meat trade! Let's ask Team Mongolia to take a stand and speak out against this shameful trade. You can help by signing and sharing our petition, sending out letters and emails, and raising awareness of this brutal and barbaric practice and calling for an end to the trade by exposing this issue in social media. 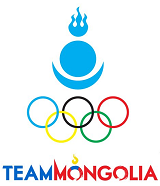 Click HERE for the Team Mongolia Homepage. Please sign petition, call, write and email the Mongolian Olympic Committee TODAY! Mongolian National Olympic Committee: Take a stand in PyeongChang 2018 against the dog and cat meat trade! It is one thing to kill these dogs and cats. It is quite another to DELIBERATELY TORTURE THEM because of this depraved, sick and completely FALSE and IGNORANT belief that it makes the meat tender. Eating dog meat will NOT make you stronger, more virile, etc. It will make you completely ILL and you will create a huge karmic deficit because of the monstrous and evil actions committed. It is high time your societies EVOLVE and END this evil trade today.